(NewsUSA) - Pet owners love their four-legged friends. In fact, many are considered a part of the family. However, one thing that dog and cat lovers hate are the fleas that ultimately find their way onto their beloved pet and into the home. "Protecting your dog from fleas is an important part of responsible pet care," says Caryn Stichler, vice president of marketing for Sergeant's Pet Care Products. 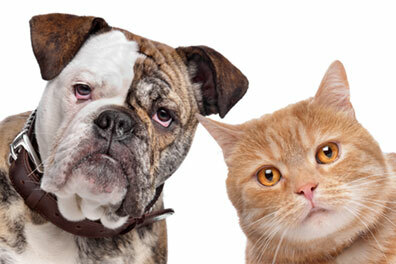 "Fleas cause distress for pets, and can cause a condition called Flea Allergy Dermatitis." Fleas, which can live both inside and outside of the home, can transmit tapeworms to animals, and their bites commonly cause skin irritation and itching. In fact, if you see your pet twisting into pretzle-like shapes trying to scratch certain body parts, chances are they have an allergy to the saliva of fleas -- or flea allergy dermatitis. The best approach to managing an infestation is prevention. Giving your pet frequent baths, regularly cleaning your pet's bedding and vacuuming furniture, rugs and floors will help break the flea's life cycle. "It is important to start treatment before there is a flea problem," says Stichler. "One or two fleas can quickly become hundreds of fleas on your pet, so treating fleas fast is important." If your pet has flea problems, you may want to consider treating your pet with an over-the-counter solution. For those pet owners seeking an alternative to topical flea medication, oral tablets such as FastCaps (nitenpyram), from the makers of PetArmor, is the solution. FastCaps contain nitenpyram, the same veterinarian-recommended active ingredient found in Capstar (nitenpyram), and begins working in 30 minutes to kill adult fleas on your pet. The fast-acting oral tablet, which can be found at discount retailers, works for dogs and cats that are two pounds or greater and four weeks of age or older. To learn more about FastCaps, visit www.petarmor.com. Don't let your pets become victims of fleas.